Poncho’s menu packs an abundance of flavor into an array of Mexican from-scratch favorites. Our team continues to rely on Isabel Vasquez’s original, time-tested family recipes that first put us on the map more than 44 years ago. Let Poncho's Spice Up Your Next Party! Want to enjoy a taste of Poncho’s around your own kitchen table or at your company party? 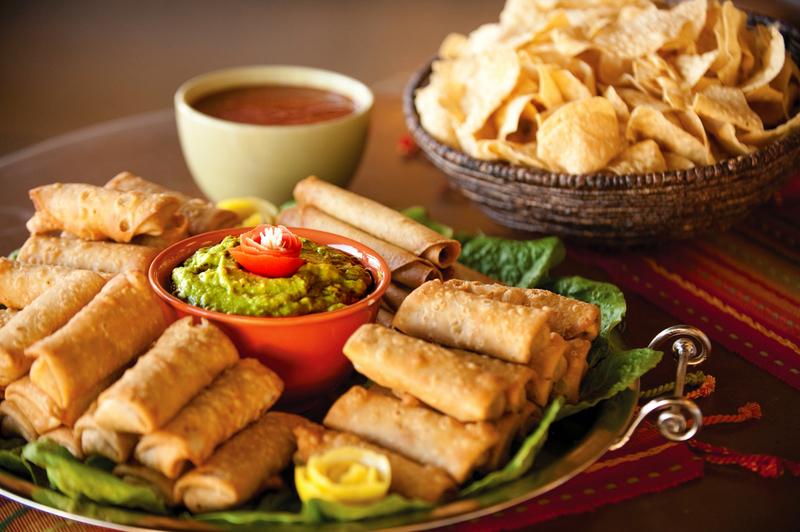 Poncho’s provides top-notch catering services for fiestas large and small. If you’re looking to cater a corporate event, a small family affair or an elegant wedding, we have the experience, the flavor and the flexibility to make it happen. A Peek at Poncho's Past. . .
Poncho’s launched in 1972 as a small spot for Mexican takeout, and it was a family affair from the start thanks to its namesake, “Poncho” Vasquez, his wife Isabel and her sister Soccoro. The pair started each day by cooking up one small pot of red and green chili, and Poncho’s quickly established itself as a go-to spot for those seeking authentic, homemade family recipes crafted from fresh, flavorful ingredients. As the size and sheer number of those cooking pots grew, so did Poncho’s as a South Phoenix staple. So much so, in fact, that the Vasquez family home that once stood behind the original takeout is now the full-service bar and restaurant you know and love today. Take a close look around during your next visit, and you can envision the floorplan of the original family home. The authentic recipes of Isabel Vasquez live on along with close attention to detail and undeniable love for Mexican culture and cuisine. The Vasquez family still runs the business, aided by longtime employees who maintain the same standards of excellence Isabel and the Vasquez family established long ago. We welcome you to enter our “home,” and anticipate you’ll find fresh, authentic Mexican food and friendly faces with every visit. “Poncho's is a great, family-owned business with lots of nostalgia. The food is great. I highly recommend the green corn tamales, which are large and soft with just a bit of corn kernel sweetness. “-Krystal T.
“THE best place to get green chile and Pollo Fundido (chicken chimichanga topped with spicy cream sauce). The best place to get a frozen strawberry daiquiri and frozen margaritas.” -Maggie R.
“Excellent service!! Pollo Fundido was mouth watering!! Salsa and chips are always 5 stars! !”- Breanna T.
“The El Crudo Burro: excellent. It's juicy machaca beef with a thin, light, and tasty green tomatillo sauce. 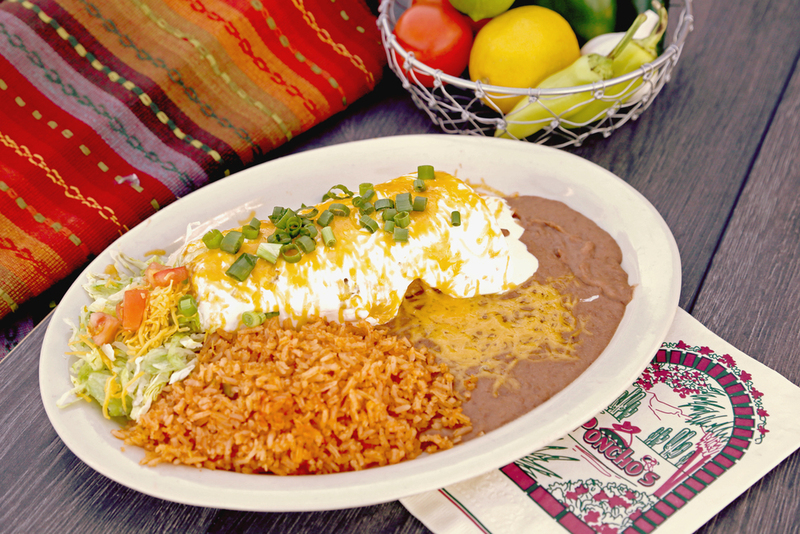 It is wrapped into a flour tortilla, then topped with red enchilada sauce and melted cheese with rice on the side. Perfecto!” -Jeff B. “Chips - the chips are light and crunchy not burned, thick and greasy. You may as well ask to buy a bag of them to take home. We did. Twice... The salsa is best served like they do it and it is spectacular. Not too hot, nice tang and flavor.” -Bill W.
“Poncho’s never lets us down. We regularly come to this location and the staff is always so friendly and the food is always guaranteed delicious! !”-Marissa G.
“Good service, good authentic tasting food, good prices and environment. Go check it out!” -Melissa A. “Can't beat the house margaritas, they are amazing... Salsa and guacamole is awesome. Food, drinks and service have never been a problem here. 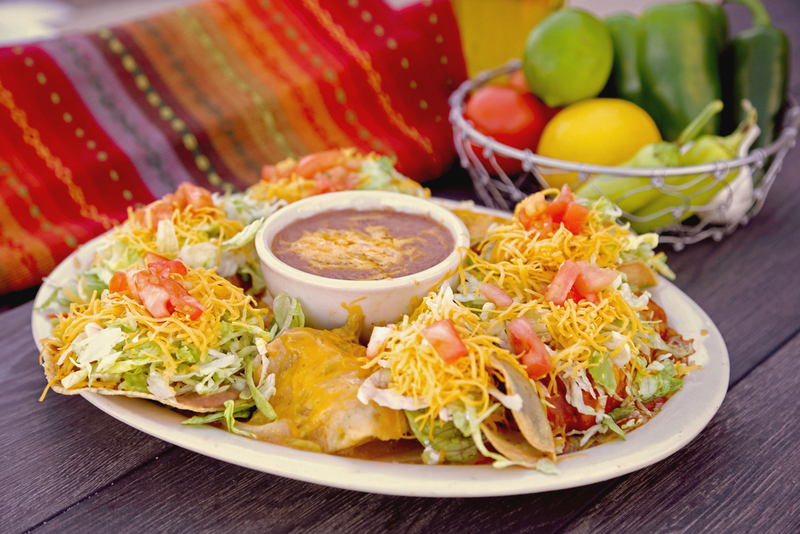 I highly recommend Poncho's, we haven't found a single place that beats it yet.” -Kelly W.
“Some of the best Mexican food I can find in the Phoenix valley. It also has a great little neighborhood bar in the back of the restaurant.” -Tim M.
“Always a good experience! The Pollo Fundido is always great! The chorizo cheese crisp is a must! Recommend this place to anyone that like a TRUE authentic Mexican restaurant!” -Josh G.
“Ponchos has the best Pollo Fundido in town. Not to mention the Mexican pizza with red or green Chile is fire!!!! !” -Mack G.
“I got the Pollo Fundido, which is their signature dish. it was fantastic. It's basically a chicken chimichanga enchilada style. The sauce that smothers the chimichanga was the most delicious sauce I've ever tasted. I took a bite and couldn't stop eating.” -Arturo O. “I have been going here for over 30 years. The staff is fast efficient and extremely pleasant. There is nothing that I don't like in this restaurant and believe me I have tried everything. We especially love the cheese quesadilla with green chili strips and tomatoes on top of it.” -Steffenie C.
“Margaritas are strong and the staff are friendly. Salsa is super spicy and chips crisp. I grew up here and when I visit Arizona, Poncho's is always a must.” -DeAna M.
“Hands down, the best shredded beef taco I've had in Phoenix. Fun atmosphere, affordable and casual.” -Amy E.
“Good food. Reasonable prices. I had the chimichanga platter with beef, rice and beans. The quantity and quality of food was excellent. Our server was quick and attentive. “ -Jagan J. “A very authentic Mexican Food spot on south side of Phoenix. The style of the restaurant is very colorful and festive... I had the green burro with rice and beans and it tasted like my own nana made it. Would definitely go back and enjoy other dishes.” -Ray A. “The Borracho Burrito is incredible and just melts in your mouth. Their salsa is also fantastic. Poncho's never disappoints!” -Brandon S.
“Such a great place to eat! Old phoenix charm and great food. I definitely will be back and tell my friends.” -Michelle P.
To Apply: Simply complete this form and drop it off for consideration. © 2016 Poncho's | All rights reserved.